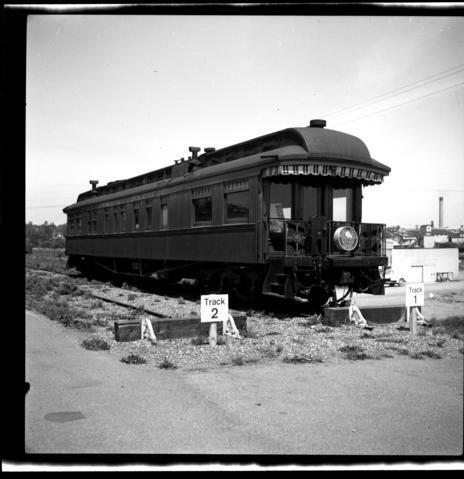 Photograph depicts a car that used to be on the "Victoria-Pacific Railway" tourist steam train, owned by Terry Ferguson. It was built in 1890 as a sleeping car by Barry and Smythe (USA). Originally named "Sherbrooke," it worked on the Montreal-Halifax run. 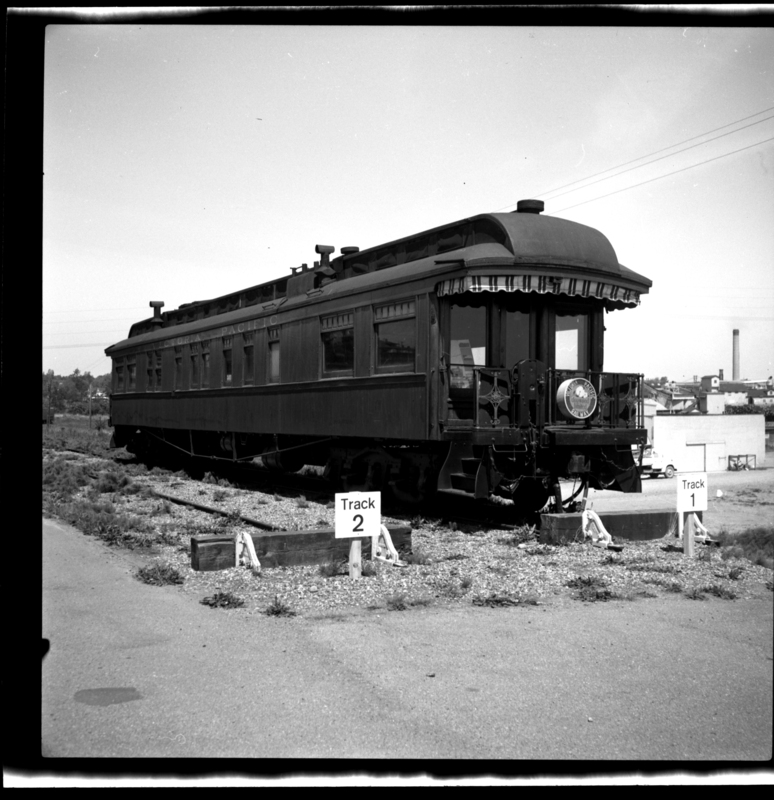 It was rebuilt in 1910 as a private car and then became superintendent's car #16 in Lethbridge and was sold by the CPR to WCRA in 1963.